The motivation for the establishment of the Fermoy Community Resource Centre came about when a survey was carried out by people working in the local branch of St Vincent de Paul who sought to establish the needs of those living in the parish. This survey highlighted a number of areas, such as the need for hot meals and social activities for the elderly, education for lone parents, as well as counselling and advice service. At a meeting in September 1986 attended by representatives from different groups and societies in the areas, it was decided that a resource centre would be set up. 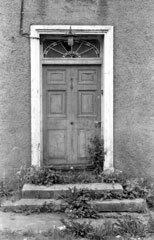 A committee was formed which acquired the old Garda Barracks on a long -term lease from the Office of Public works, and there followed an intensive fundraising campaign to refurbish and extend the old building, which although structurally sound, required extensive renovation work. The project was undertaken by a FAS Youth Employment scheme. A kitchen, bathroom and laundry were added and designed to complement the classical character of the original building. The total cost of the project was covered by fund raising, donations, subscriptions and a contribution from the National Lottery. The Southern Health Board made further Grants. Some of the services and programmes provided over the past 25 years include; Meals on Wheels, Thrift Shop, Playschool, Homework Club, Citizens Information Centre, Library, Art Classes, Adult Literacy, Fermoy Young Mothers Group, affordable room hire to community groups, along with a host of educational and training programmes. Another group which has very close links with the Resource Centre is the Fermoy Community Network (formely Fermoy Family Coordinating Group). The Fermoy Community Network was setup by the HSE Community Work Department as an information sharing network. It is made up of members of voluntary, community and statutory representatives working or supporting groups and services in the community. The Fermoy Community Health Project was established in October 2013, the board of management in discussion with local groups and the HSE Community Work Department carried out research and identified a need for a community health project within the community. They set about securing funding to employ a part time community health worker, who is works on developing sustainable health projects for individuals and families within the community. The mission statement of the Resource Centre since its conception has been about enabling people to develop socially and educationally to enable them to enhance their quality of life. This mission statement is rooted in Person Centred Theory. The board of management, staff and volunteers working in the Resource Centre believe that people are the experts in their own lives and that they are doing the best they can with what they have and given the right environment and opportunities they will choose what is right for them. Around 1170 a Cistercian Monastery named Sancta Maria de Castro Dei was founded on the South Bank of the River Blackwater in Fermoy. Under English colonisation in the reign of Henry 8th the Abbey and lands passed to Lord Roche of Fermoy. There followed a succession of owners and leaseholds until about 1612 when only the ruins and about 30 acres rem ained. John Anderson, founder of Fermoy town, cleared the site and built a fine Georgian building on the site in the early 19th century. The house (Resource Centre) went through a number of tenancies before being leased to the Royal Irish Constabulary (RIC) in 1903 by the Meagher family. The RIC occupied the building until 1923. During this period the basement cells were used to hold various people, notable among them being the Kent brothers who were held there before being moved to a place of execution in 1916. These cells can still be accessed today through the basement of the building. Ownership passed from the Meagher family to the Office of Public Works and the Gardai occupied the building from 1924 to 1980. The motivation for the establishment of the Fermoy Community Resource Centre came in 1986. 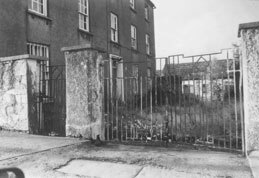 A committee was formed which acquired the old Garda Barracks on a long -term lease from the Office of Public works. Although structurally sound, extensive renovation work was required. The project was undertaken by a FAS Youth Employment scheme. A kitchen, bathroom and laundry were added and designed to complement the classical character of the original building. The total cost of the project was covered by fund raising, donations, subscriptions and by the National Lottery. The Southern Health Board made further Grants. In December of 1989 the building was officially opened by then Minister for Social Welfare Mr Michael Woods.